The great benefit of this version is performance. Crux no longer interprets metadada at runtime. Some of the screen building tasks that were made at runtime are now done at compile time. The result is an amazing enhancement of 300% in speed for rendering the screen. 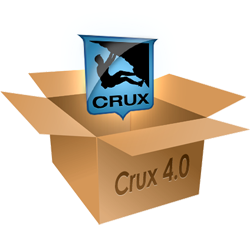 Another performance improvement is that Crux 4 only renders what is needed. Widgets that are not visible when the screen is rendered for the first time will be rendered lazily, only when and if necessary.